• Matrox g200 quad (4) multi-monitor video card. So, you have read about the risks involved with day trading. 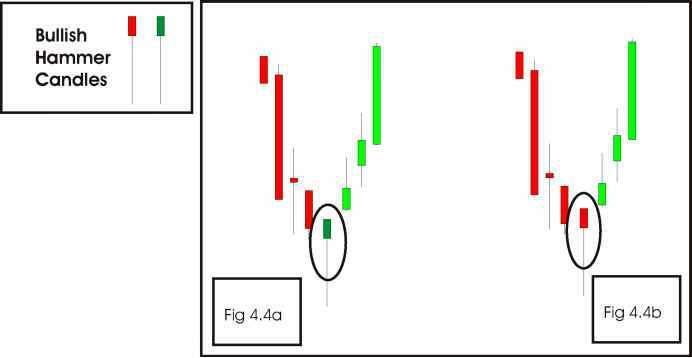 You have studied charts and strategies and feel you have a handle on just what intraday trading is. You have finally decided to go ahead and open a day-trading account. Your next step is the difficult task of selecting a competent broker. There are so many out there to choose from that what you really need is to develop a set of criteria that will assist you in your selection process. After all, you do not want to be paying someone to pressure you into overtrading to generate more commissions for the brokerage firm. You do not want to be dealing with a broker who fails you when it comes to customer service. And you certainly do not want to be paying someone who disappears the second his system crashes, especially when you desperately need to get out of a losing trade that is taking money out of your wallet faster than taxes in Canada. Decide how important customer service is to you. When you are a new trader, it is vital that you sign up for an account with a broker that has great customer service. You will appreciate the assistance of a patient broker who is willing to help you by answering all the questions you will have about everything from setting up your new software to the rules governing margin accounts to order routing to a myriad of other details that will be unclear when you are starting out. Information saves you money in this business. Another important consideration is your bottom line. Commission fees eat away at your profits. Software fees do, too. It is important to do your homework, especially if you are trading smaller-sized lots. Some brokers will waive their software fees if you make a minimum number of monthly trades. Do not be afraid to ask questions. Talk to other traders and investigate their recommendations. Ultimately, you are looking for a reputable broker with competitive rates and a proven record of excellent customer service. 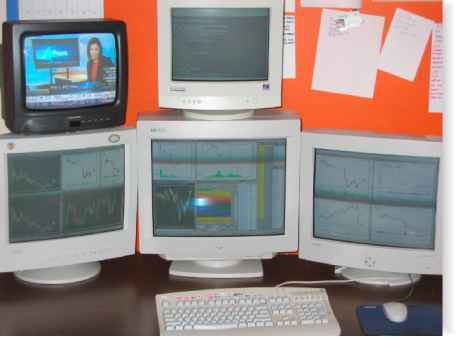 Is it possible to quit your job and start day trading from a computer terminal anywhere in the world? Yes, it is possible. 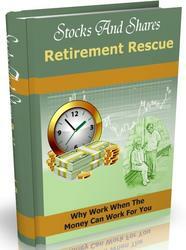 But before handing in your resignation, consider that 85 percent of day traders fail within the first year. You should not expect to win consistently for the first four to nine months of trading. Becoming an elite trader requires years of experience trading the markets. It is important to gain experience trading across the spectrum of market conditions. Trading in a bull market is very different from trading in a bear market. The lessons you learn today could be useless tomorrow. Trading in unfamiliar market conditions can erase the capital of an unseasoned trader, and it has. You must understand these probabilities before you plunge ahead. One way to avoid some of the pitfalls is to make friends with seasoned day traders, those with whom you can share thoughts, ideas, and experiences. You can learn a great deal from other traders, successful or not. It is much better to learn from a mistake that someone else has made, and paid for, than to go through the agony of making it yourself. The collective experience of other traders is a fountain of valuable information. Of course, you can still expect to contribute heartily to the pool of experience. Sometimes the best lessons are those that leave a scar. Losing money is painful, and a mistake that empties your bank account will be etched in your mind forever. Painful experiences will prevent you from repeating mistakes, and they can be truly valuable lessons that will be instrumental to your future success. Successful traders follow many of the same rules when making their trades. These rules have been developed over numerous years of trading experience, both good and bad. You have probably read these rules in several books, but if you are a newer trader still on the learning curve, you likely keep breaking them even though you respect the authors and trust that the rules are true. Why? New traders break the rules because they have not experienced the full range of emotions and the scars they leave behind. Once a trader ignores the rules, makes a mistake, and experiences financial loss, or if she takes action that results in great financial gain and finds that it is because she followed the rules, then she will finally see the light. Her actions will be engraved in her mind and she will remember the rules the next time the same situation occurs. A beginning day trader has a huge number of lessons to learn. The first lesson, one that any trader must learn immediately, is how to stay in the game. That is, how to avoid losing money quickly. This lesson is more important than learning how to make money quickly, because there will inevitably come a time when the day trader will make a series of incorrect trades. He must ensure that a sequence of bad trades will not damage his account (or his ego) enough to get the account closed or destroy his concentration.